For use with Epson® M210V, M220 and M240 cash registers. Consistent, trouble-free performance. Device Types: Cash Register; Color(s): Black; OEM/Compatible: OEM. 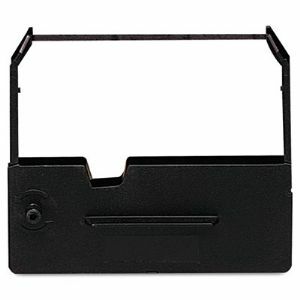 OEM cash register ribbon for Epson® M210V, M220, M240. For use with Epson® M210V, M220 and M240 cash registers.